Just two weeks ago, my new roommate and I were standing in center field for game 3 of the American League Division Series in the Bronx when Greg Bird took former-Yankee Andrew Miller deep. 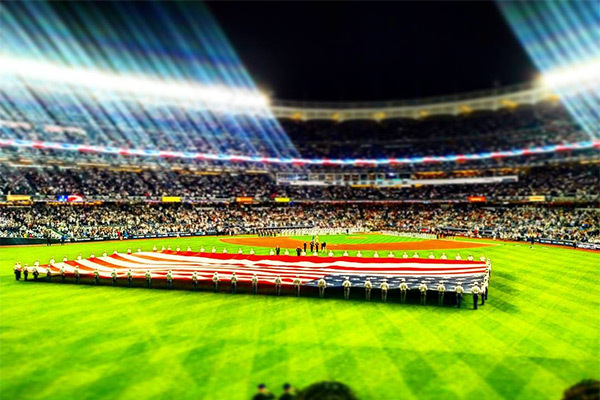 Yankee Stadium went ballistic. The home run broke a zero –zero tie and propelled the Yankees to a victory that night and an eventual series win over the Indians. The following week, the Bronx Bombers found themselves within one win of the World Series against the Astros. I scored tickets to Game 5 of the Fall Classic, which was to be played at the Stadium this Sunday night. My friends and I were all-set to watch the Yankees battle the Dodgers. And then, last weekend happened. The Yanks traveled to Houston and didn’t bring the offense along. Game 6 went to the Astros and the momentum swing in to the vaunted game 7 was too much for the Baby Bombers to handle. It also marked the end of an era: this week the team announced that after 10 seasons at the helm, the contract of manager Joe Girardi would not be renewed. Now, the annual “hot stove” talks center on not if the Yankees will make a free agency splash but who will be the skipper of a team poised for another run at the World Series next season. If you didn’t know any better, you would have no idea that just last week we were planning on hosting the World Series. Now, I’m looking in to a return trip to Bear Mountain this weekend so I can take-in some of the fall foliage.